Conversion of the minimum time to support multi-threaded conversion to multi-core processors. 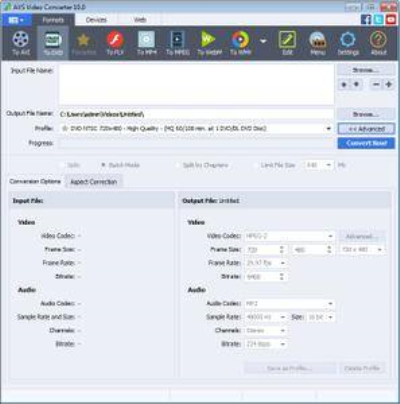 Create a DVD-video: create DVD-video from all supported formats. Templates menu there. See the result on your home player DVD. Support for HD-video: HD-core supported formats: AVCHD, MPEG-2 HD, WMV HD, TOD, MOD, M2TS, M2T, MTS, HDV. You can edit, combine, cut pieces, add text and effects, and convert to DVD or any other supported video format. The video for mobile devices: iPod, iPhone, PSP, Zen, PS3 (HD support), XBox (HD support), Archos, telephones, DVD/MPEG-4 Player (with support DivX / Xvid). Edit quickly and precisely with the line of time, use more than 50 audio and video effects for movies. Forum Saati: 08:45 AM. Zaman dilimi GMT +2 olarak ayarlanmıştır.